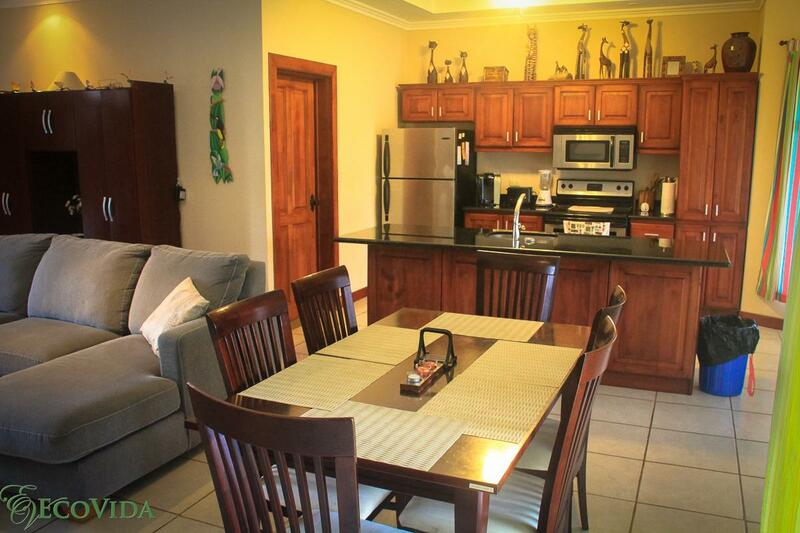 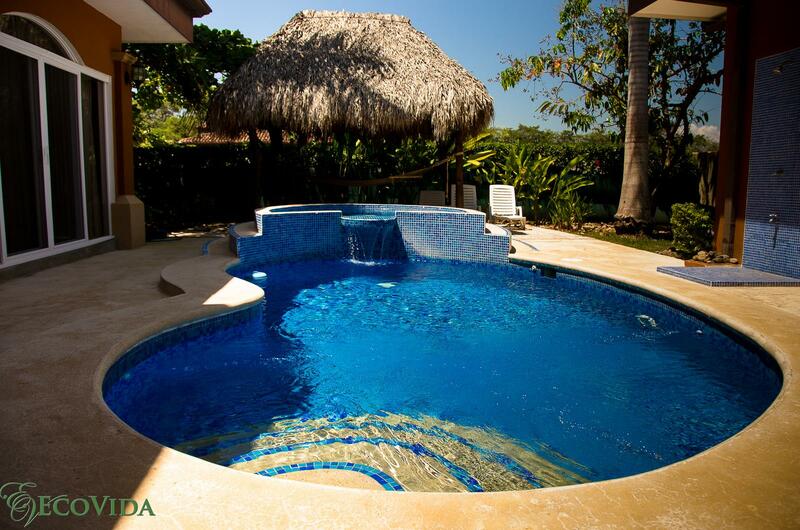 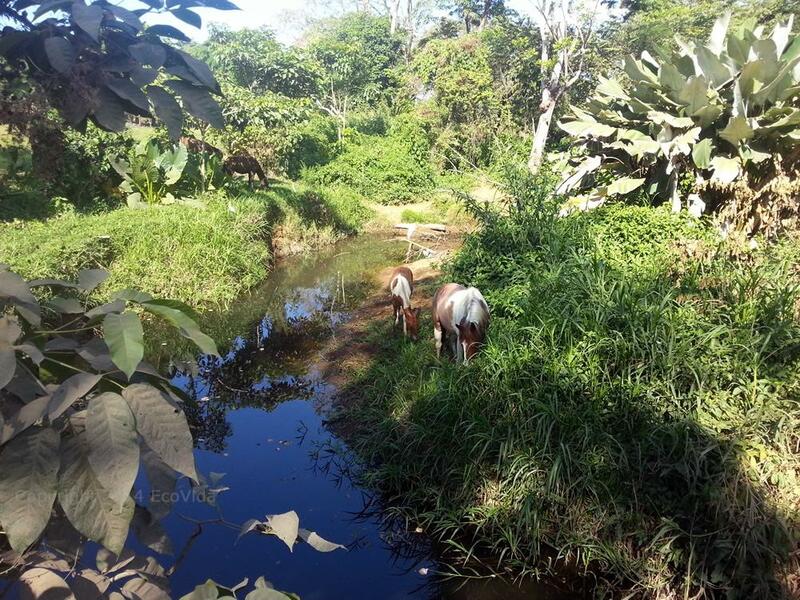 Home→Vacation Rentals→EcoVida Vacation Homes at Playa Bejuco – Walk to Beach! 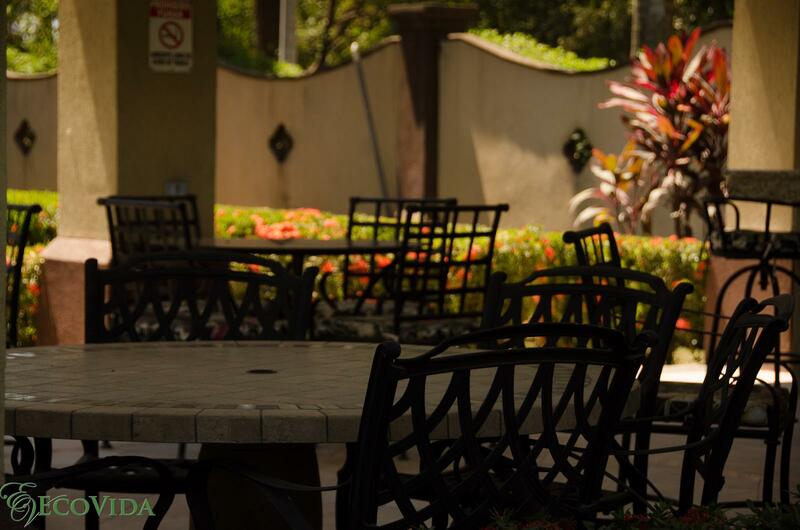 Secure Community! 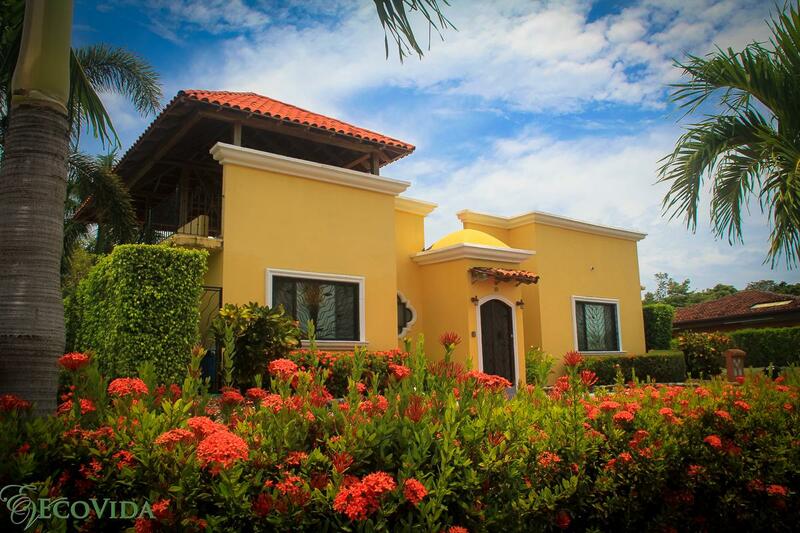 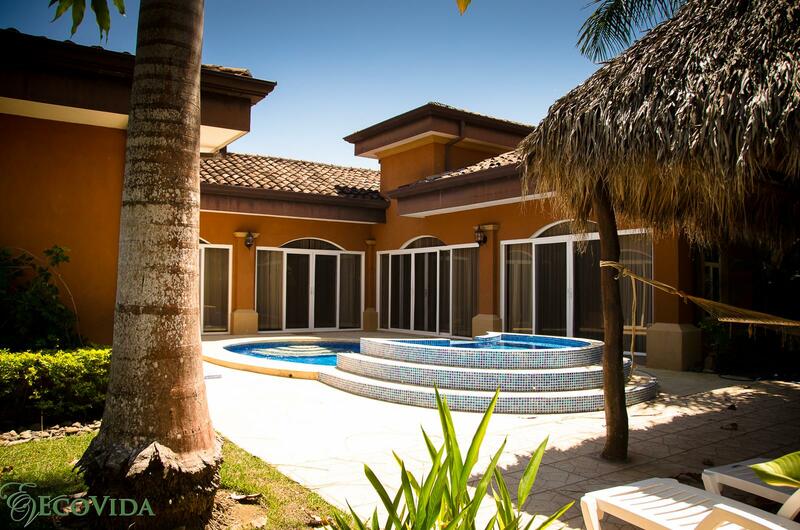 EcoVida Vacation Homes at Playa Bejuco – Walk to Beach! 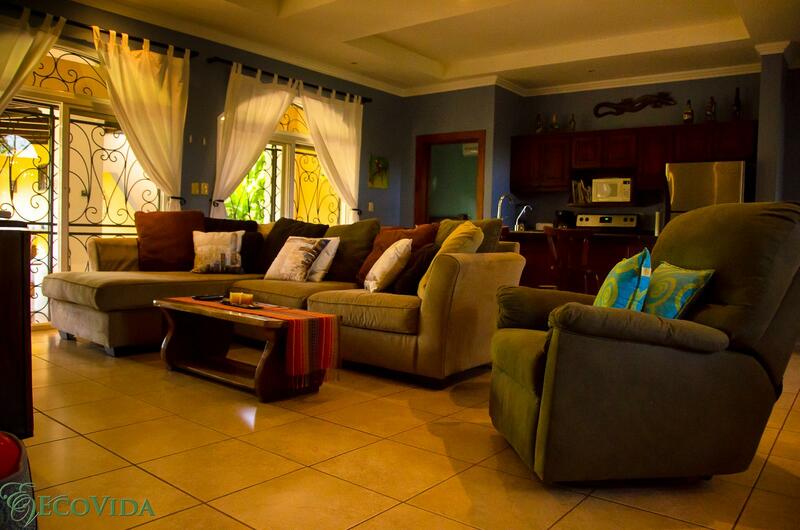 Secure Community! 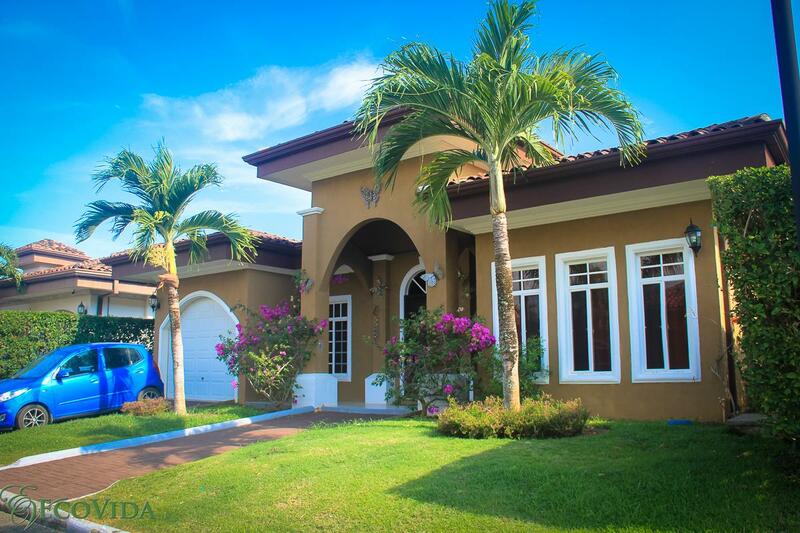 EcoVida Vacation Homes at Playa Bejuco - Walk to Beach! 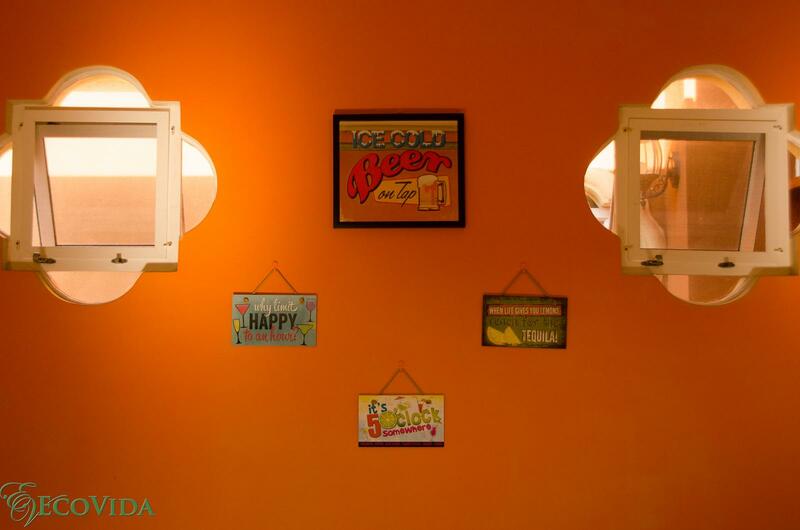 Secure Community! 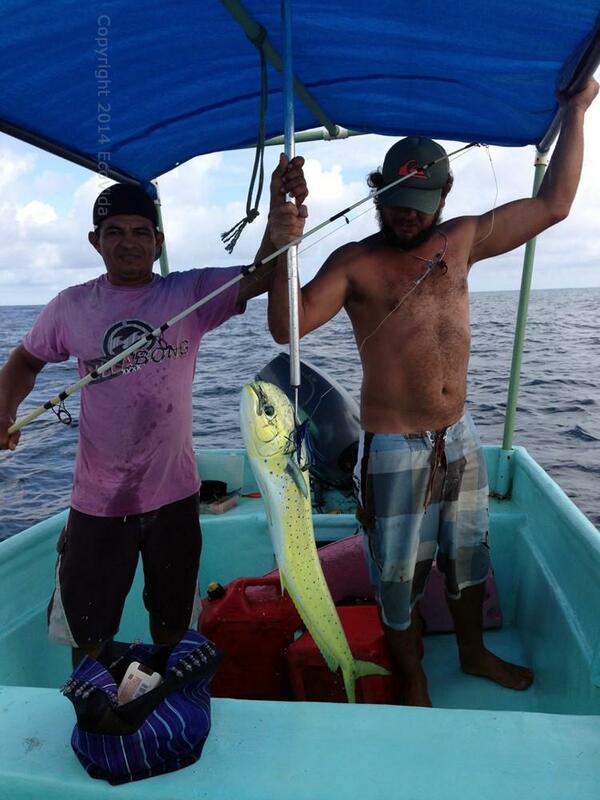 Ask us about local fishing tours! 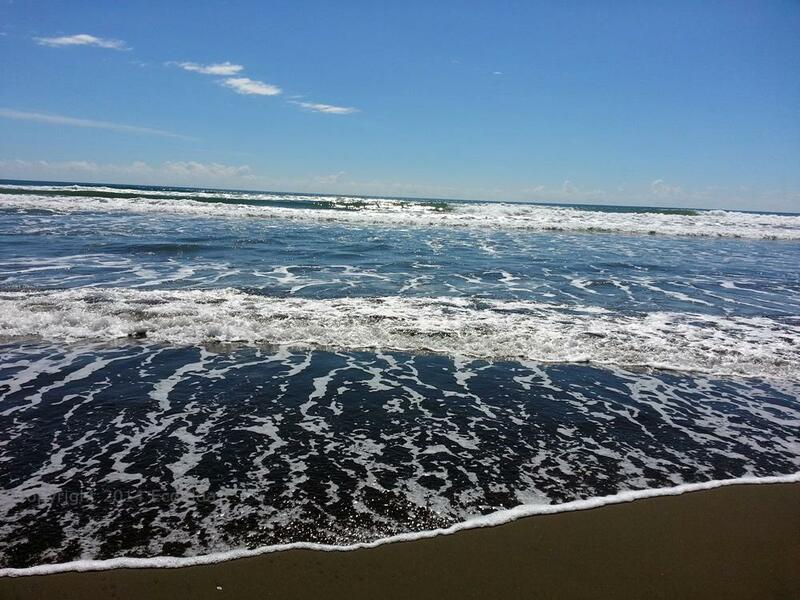 Playa Bejuco is great for surfing and boogie boarding! 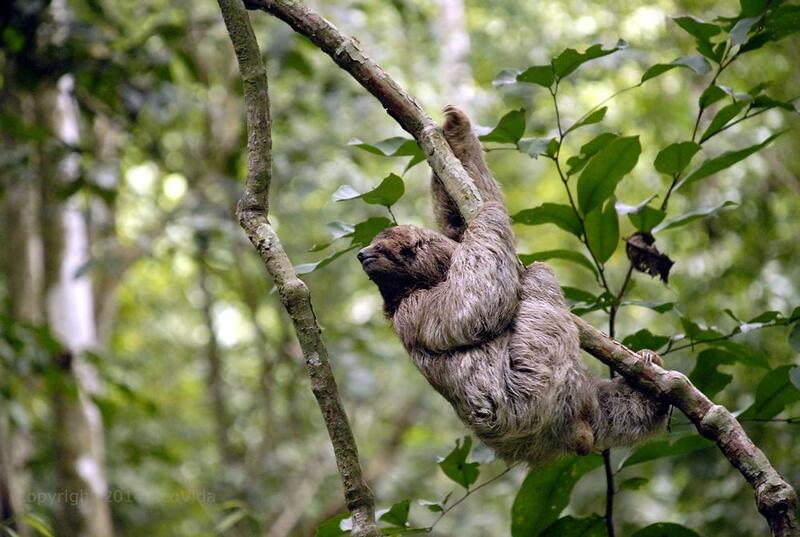 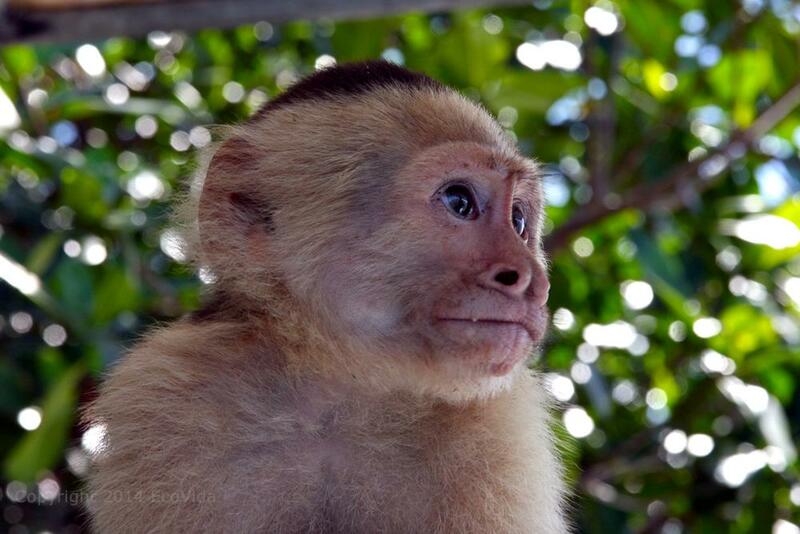 Ask us about wildlife tours and where to view sloths! 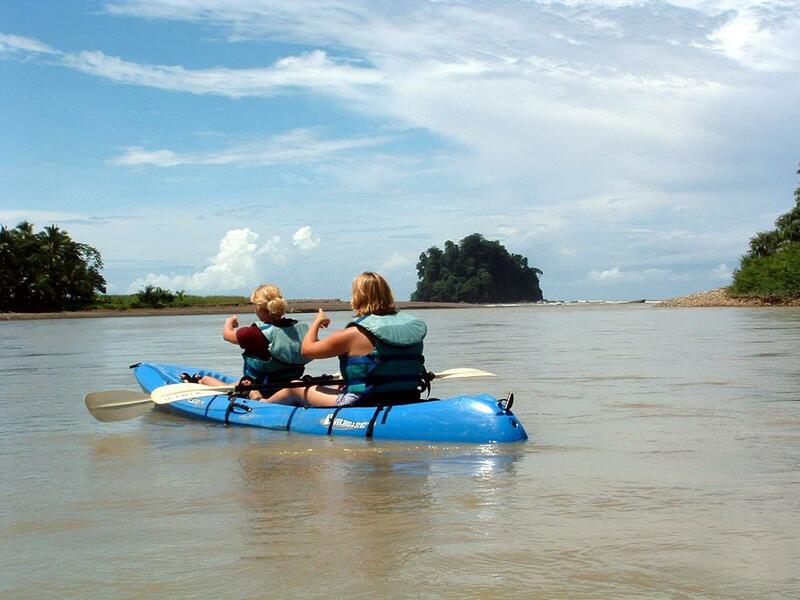 Ask us about kayaking adventures in the ocean or mangrove! 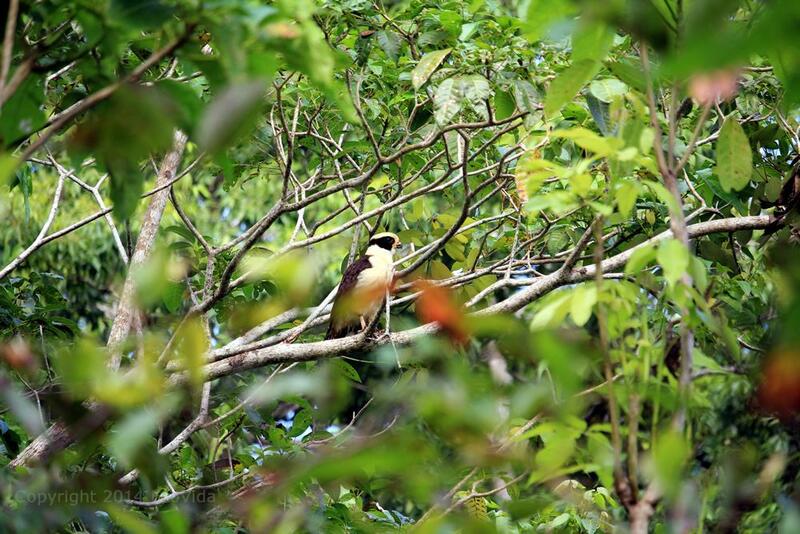 Keep your eyes open for lots of local animals and wildlife! 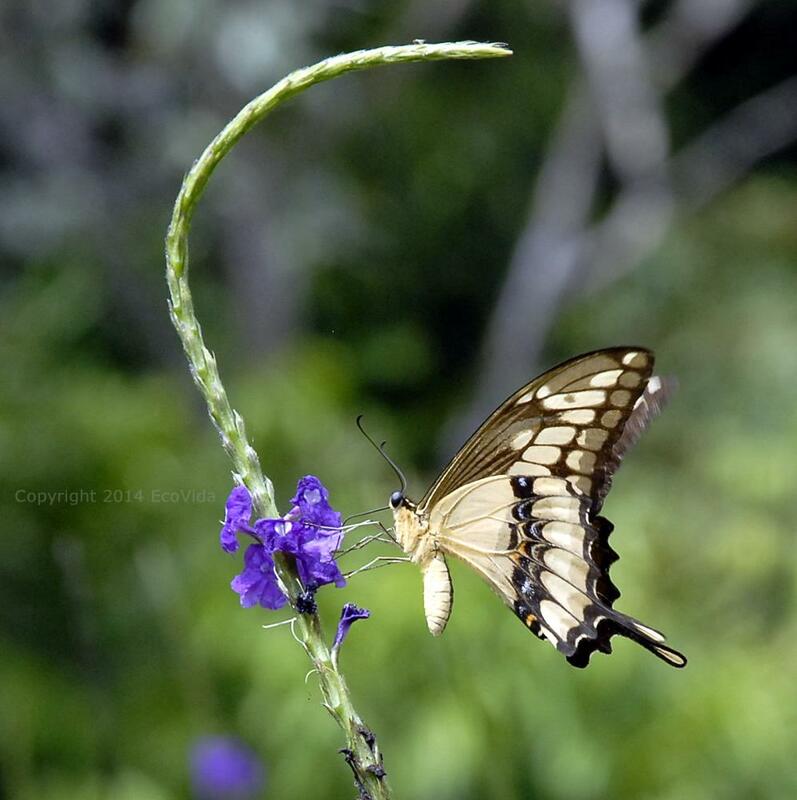 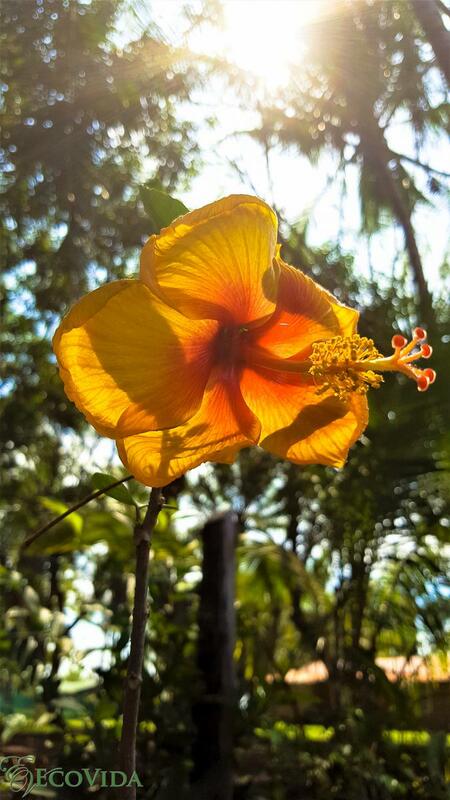 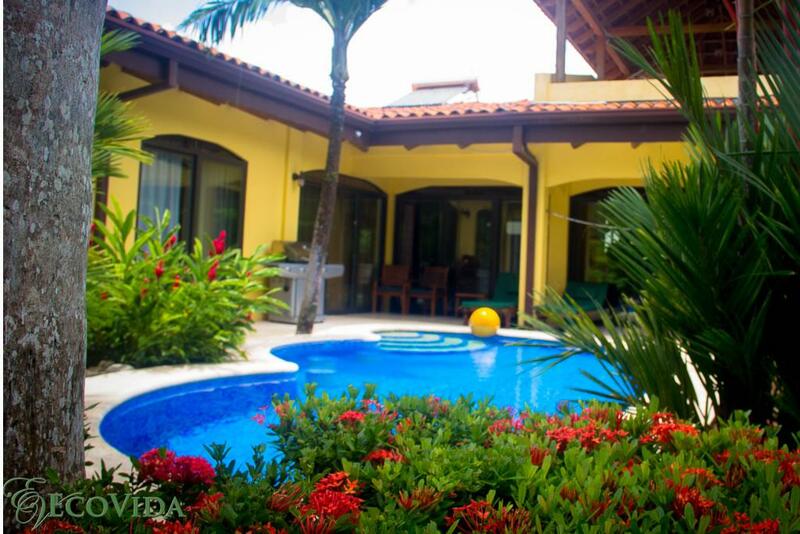 The Sand Suite is located in the front of the house closest to the beach Beautiful gardens surround the property Lots of wildlife and butterflies Ask us about the Monkey Tour in our area! 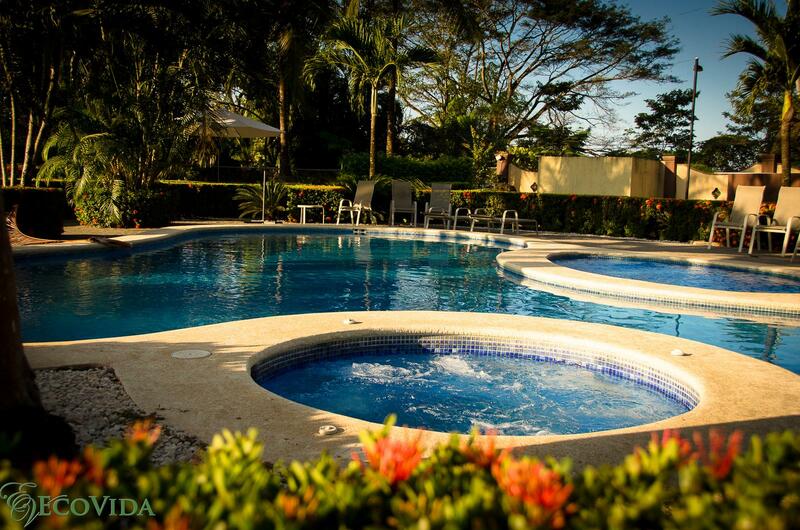 The Ocean Suite is only steps away from Playa Bejuco! 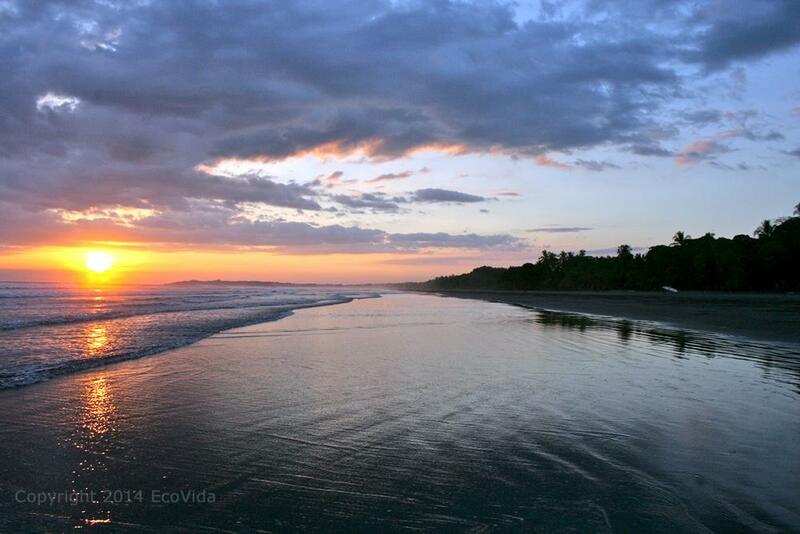 Playa Bejuco has amazing sunsets! 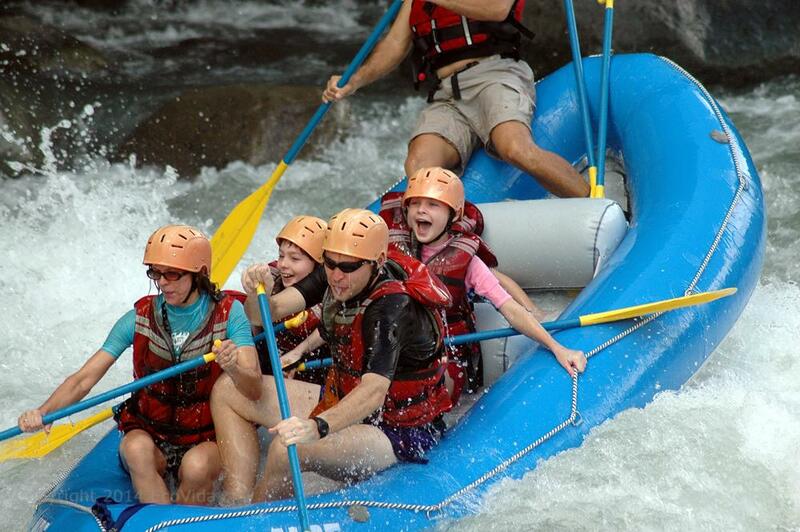 Ask us about whitewater rafting in our area! 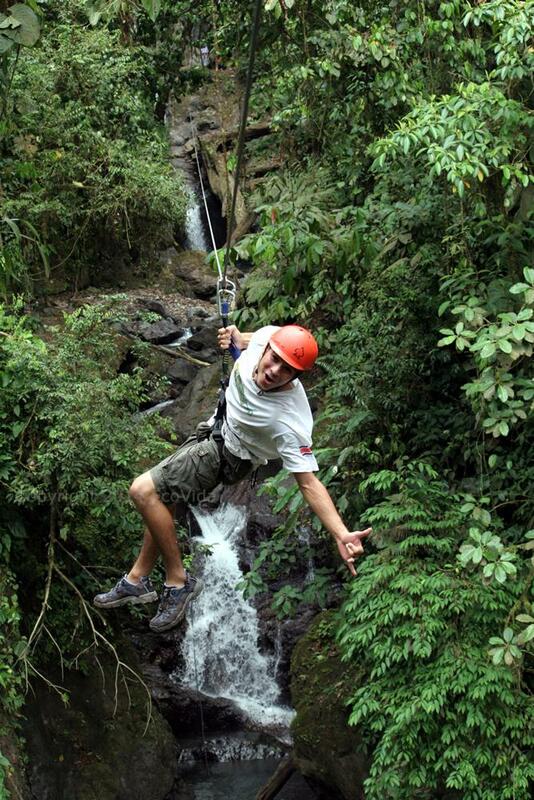 Ask us about ziplining and waterfall rappelling! 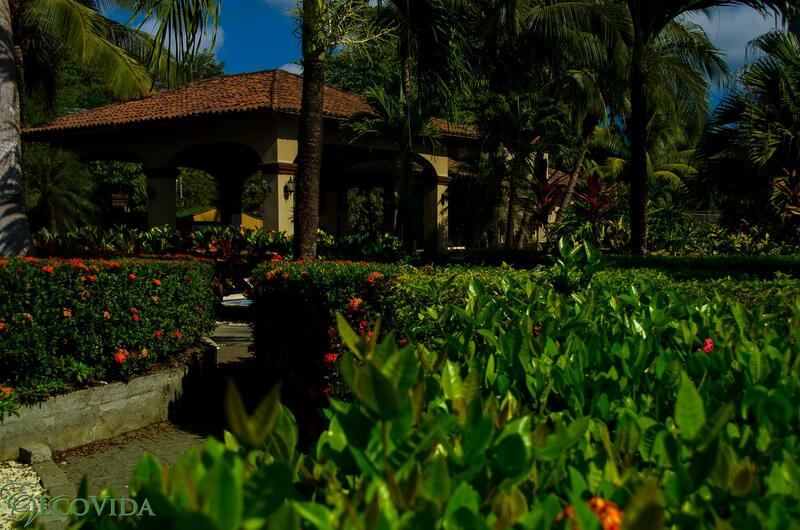 Beautiful gardens and flowers Beautiful gardens and flowers Ask us about birdwatching tours in our area! 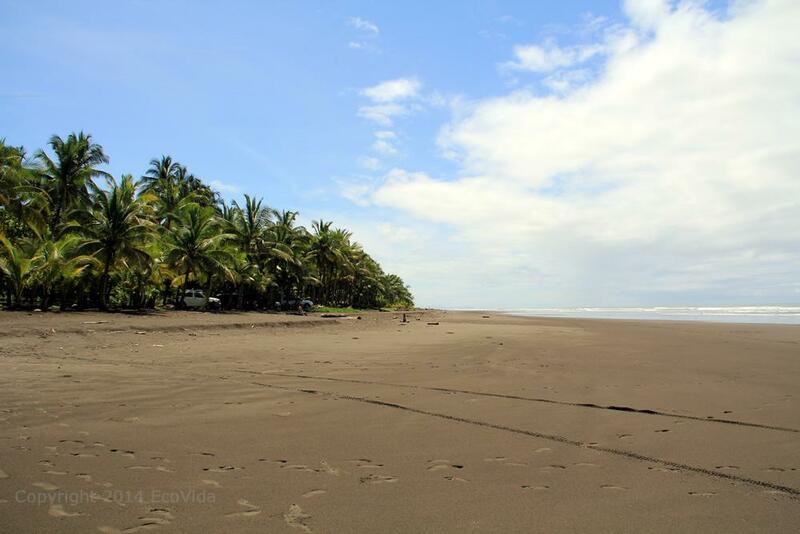 Beachfront to Playa Bejuco which is a clean, blue flag beach! 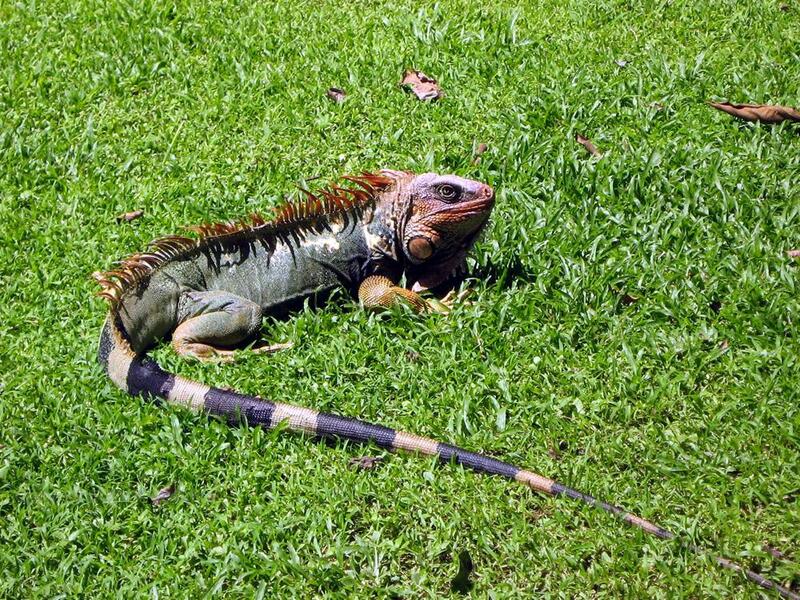 Lots of local wildlife! 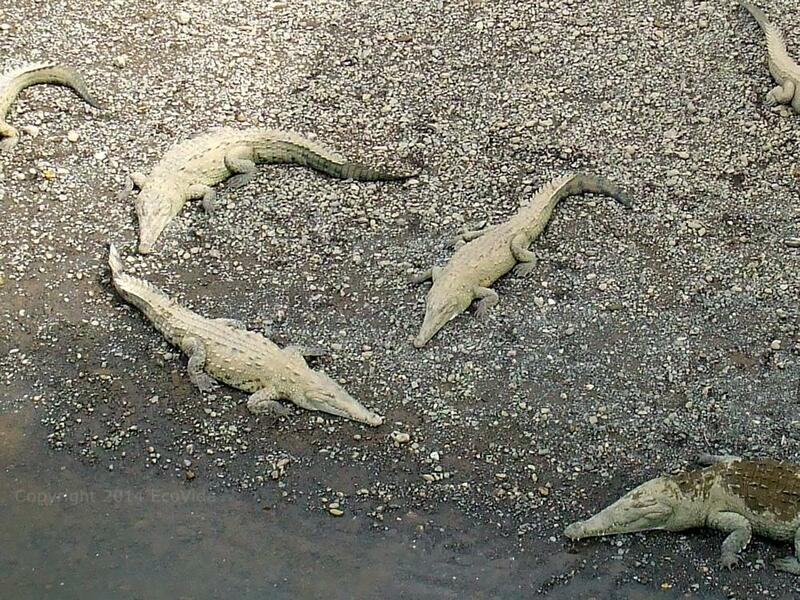 Ask us about crocodile tours! 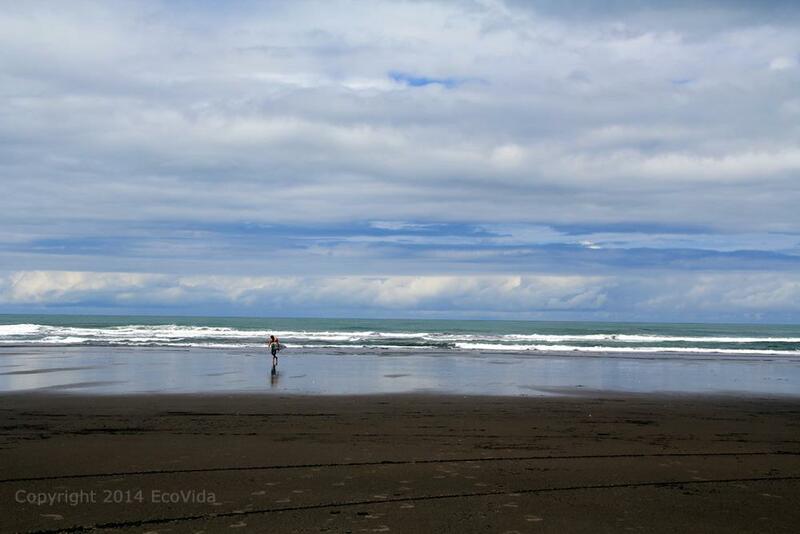 Playa Bejuco is prefect for long walks! 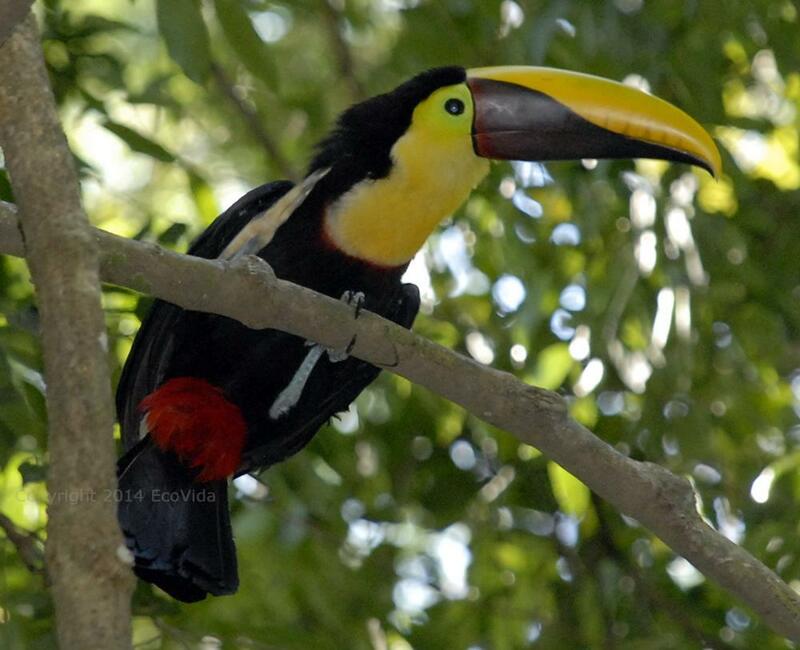 Ask us about birdwatching tours! 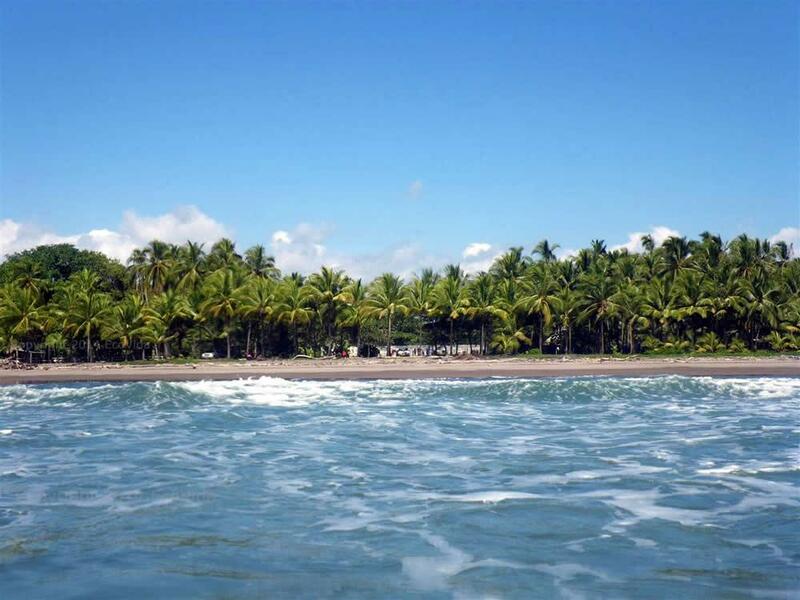 Playa Bejuco is a palm tree lined beach with soft sand and very few rockes. 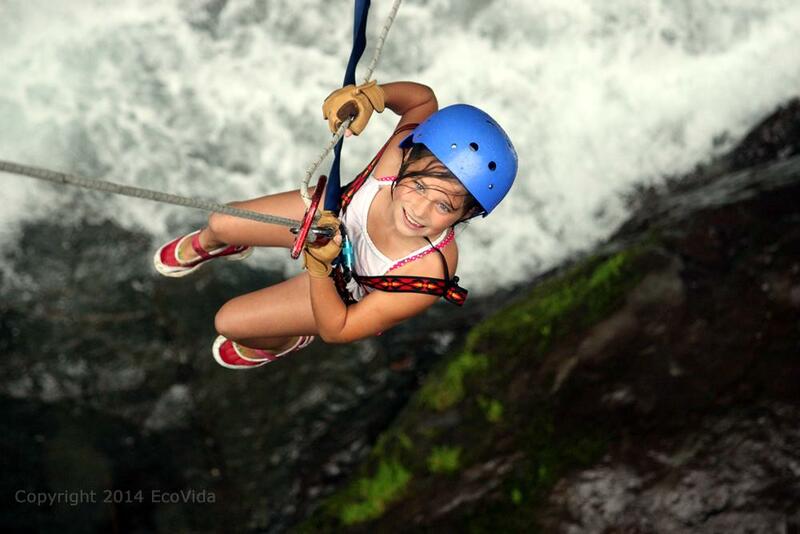 Playa Bejuco Ask us about ziplining and waterfall rappelling! 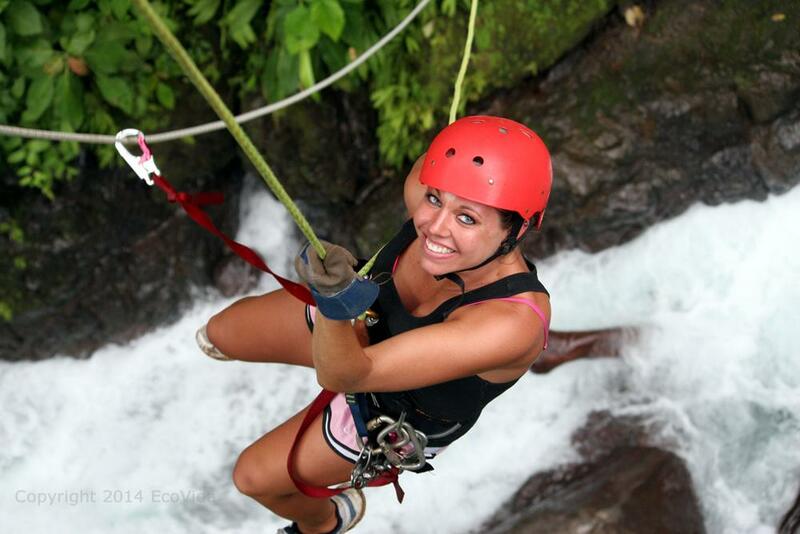 Ask us about waterfall rappelling! 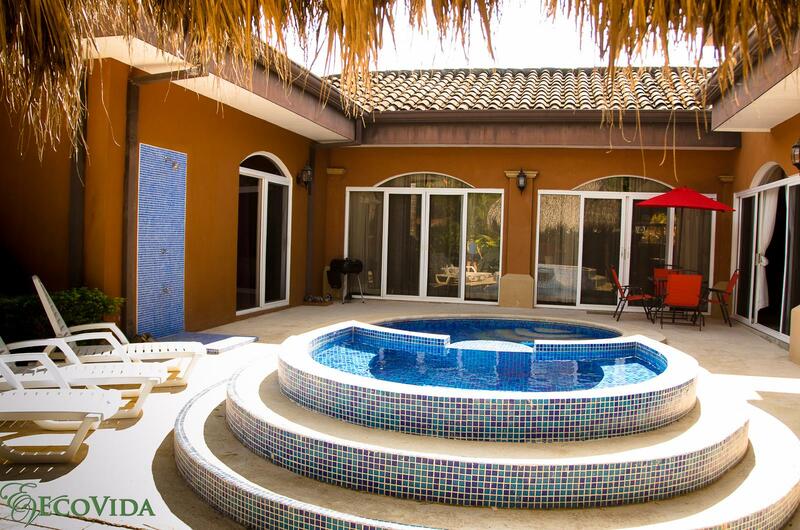 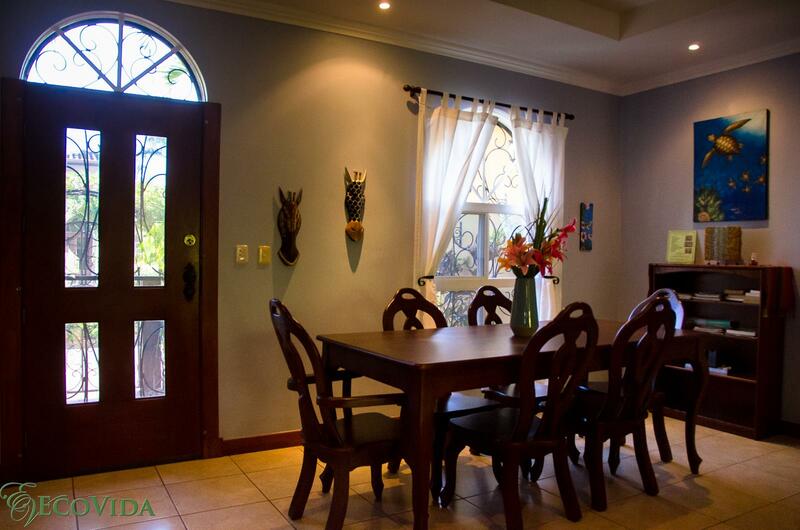 EcoVida Properties has many homes available for vacation rental in Playa Bejuco, just 1.5 hours from the San Jose airport (SJO). 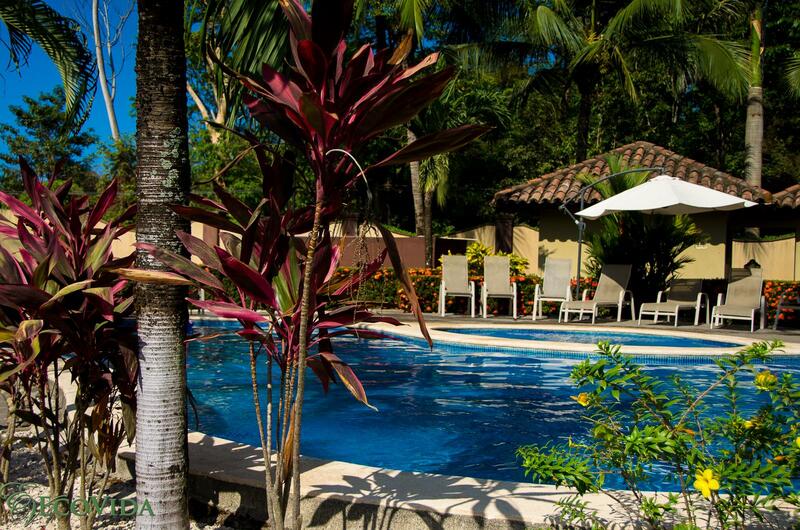 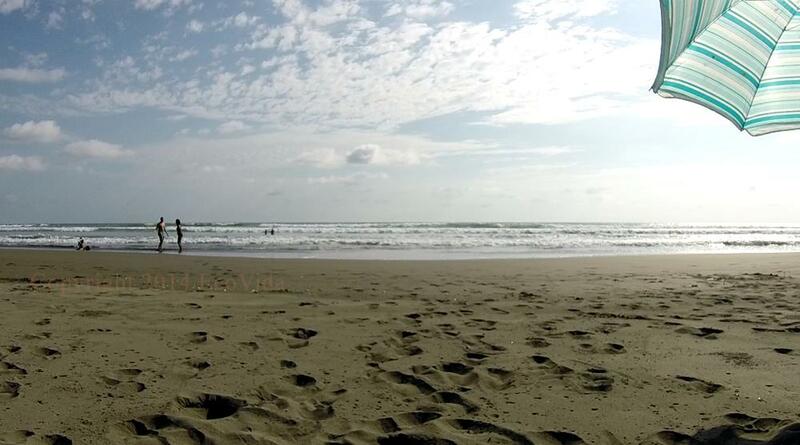 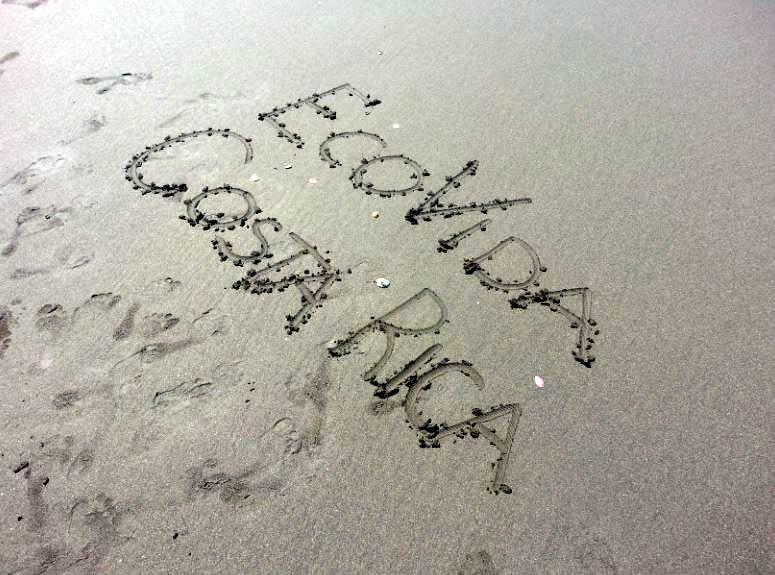 Our vacation rental homes are just one option we can offer at one of the cleanest beaches in Costa Rica! 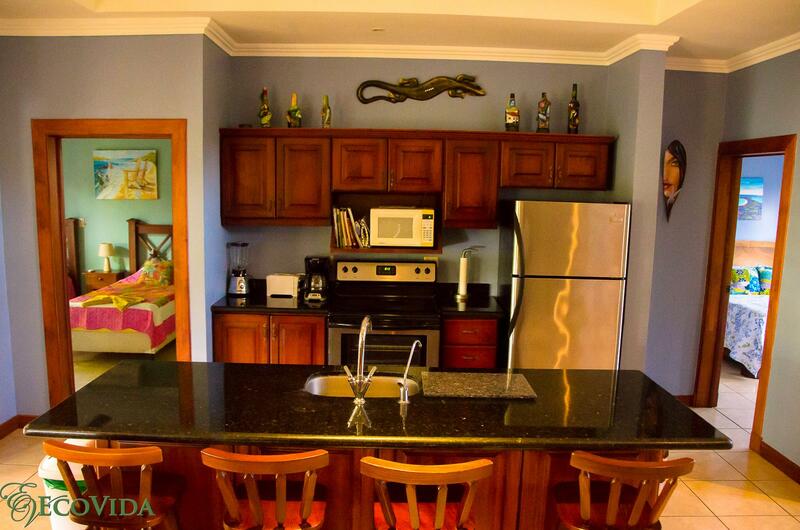 Starting from $216/night (or less!). 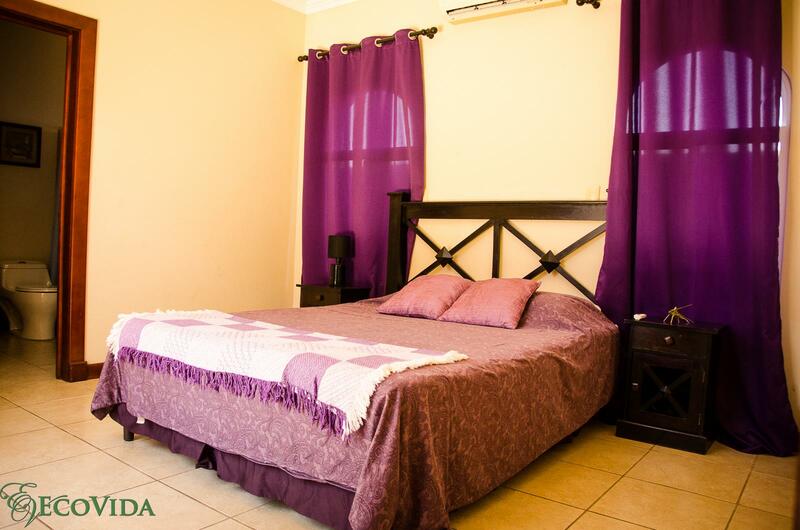 We have a variety of different homes available with 2 or 3 bedrooms and sleep 4-8 people depending on the home. 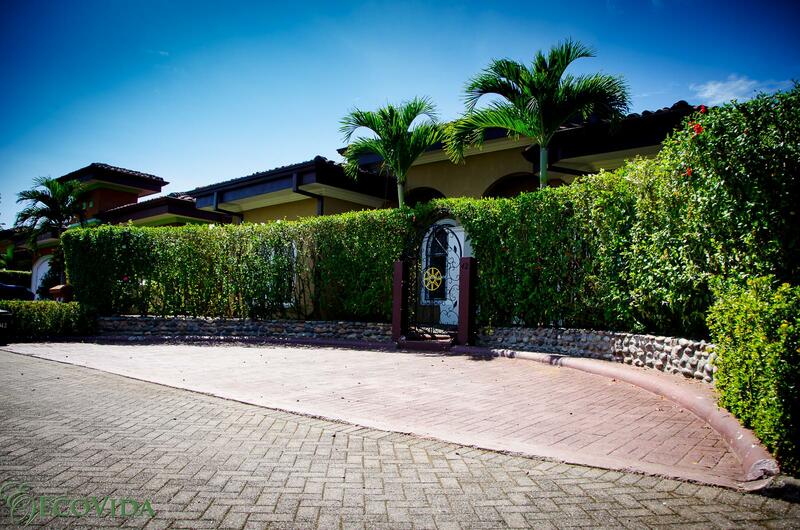 All the homes are located in the beautiful gated community of Costa del Sol which is only a short walk from Bejuco Beach which is one of the cleanest beaches in Costa Rica and was awarded 3 stars in the national Blue Flag Program. 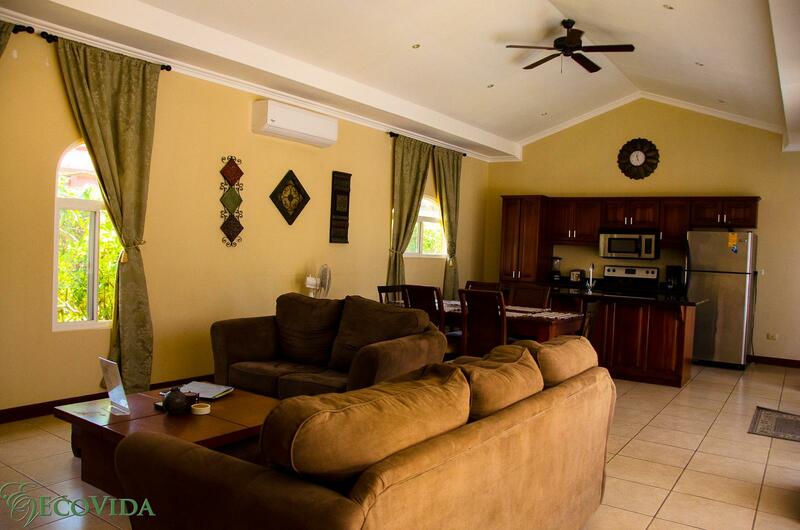 •	3 bedroom homes with your own private pools and access to the community pools. 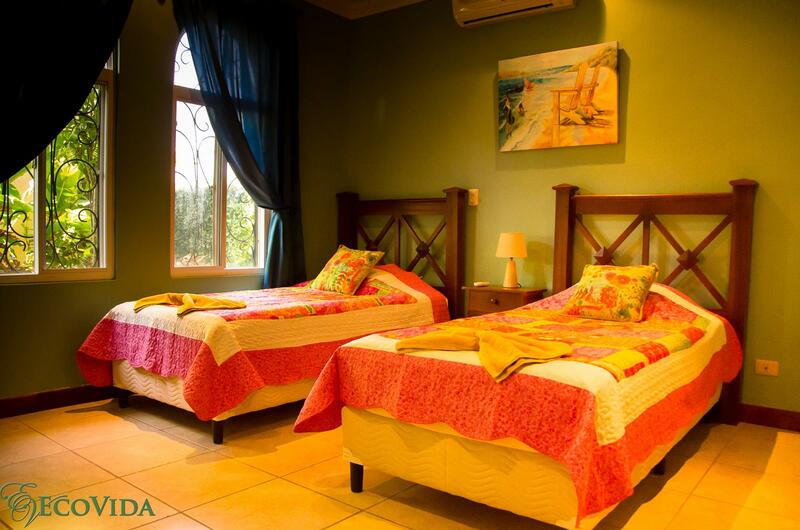 •	Only a short walk to beautiful Bejuco Beach! 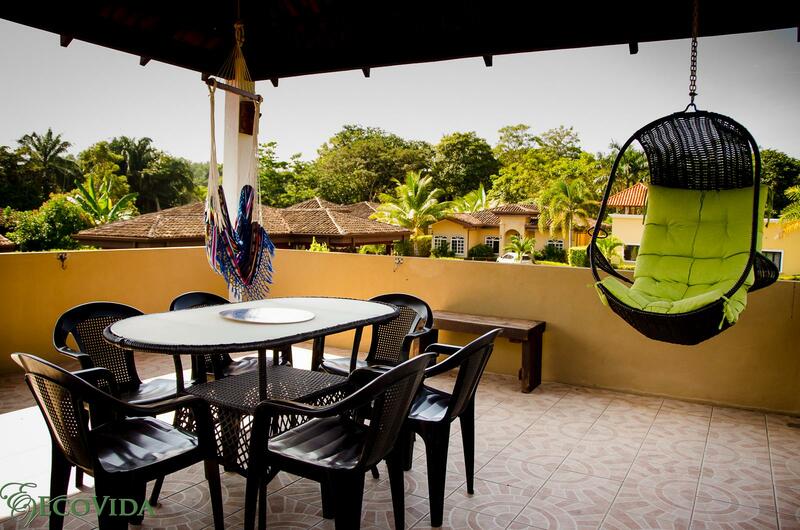 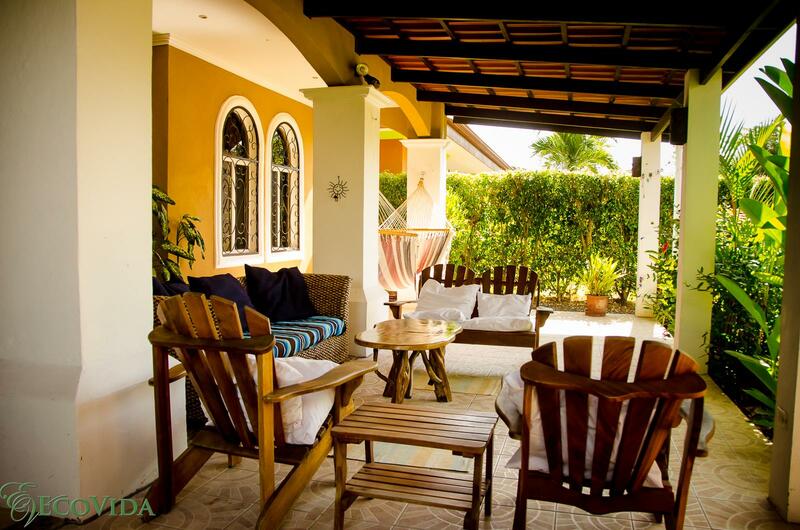 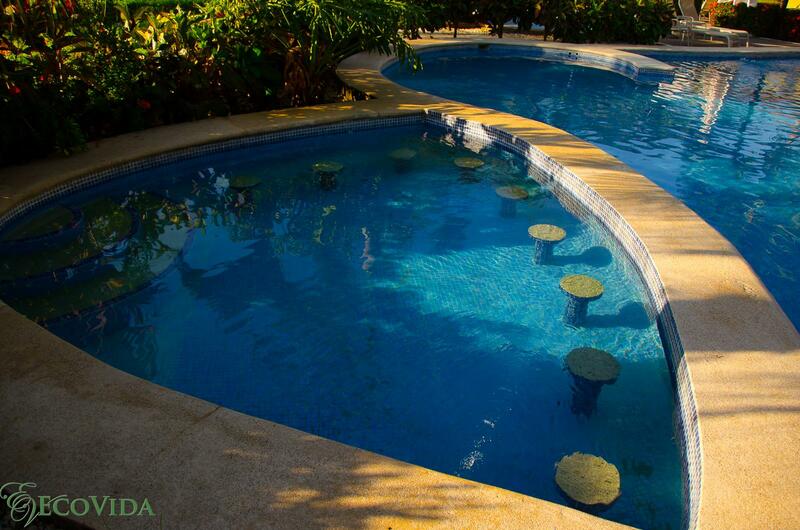 Our Vacation Homes are located in a gated community that is just a few minutes walk to the pristine beach of Bejuco. 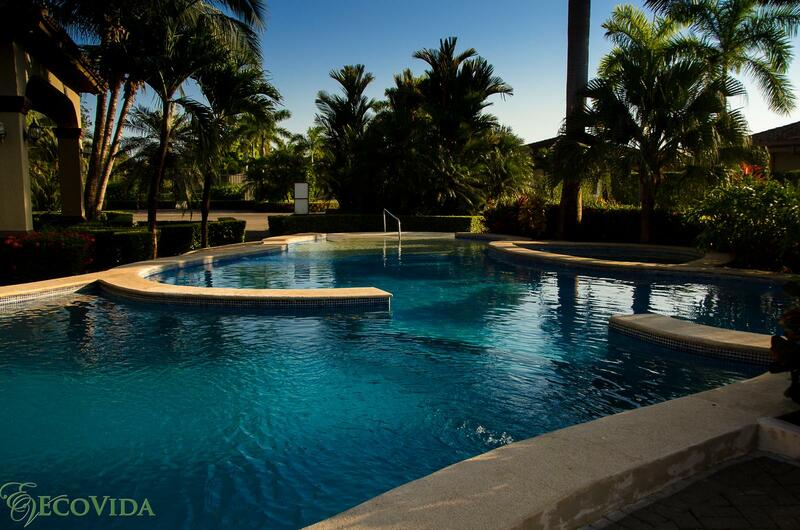 The gated community of Costa del Sol has 24 hr security, 2 large community pools, tennis court, rancho and BBQ area. 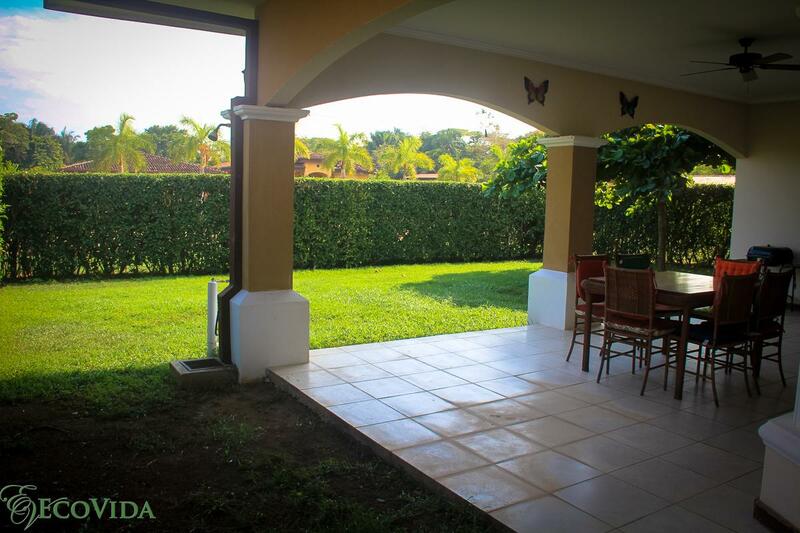 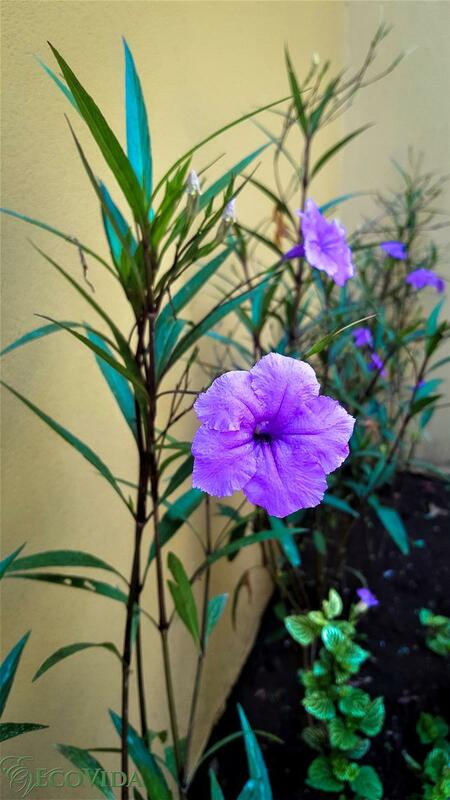 The community has paved streets and extensive public gardens that are meticulously maintained by the community gardeners. 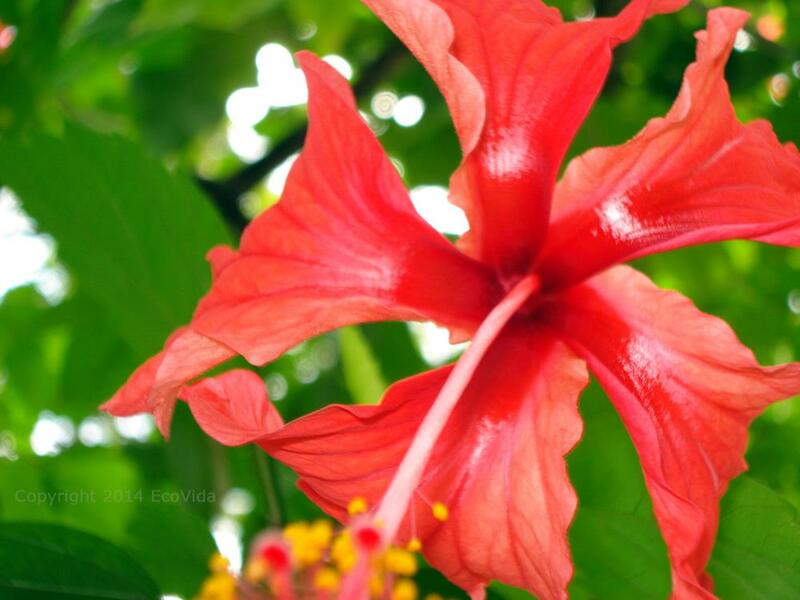 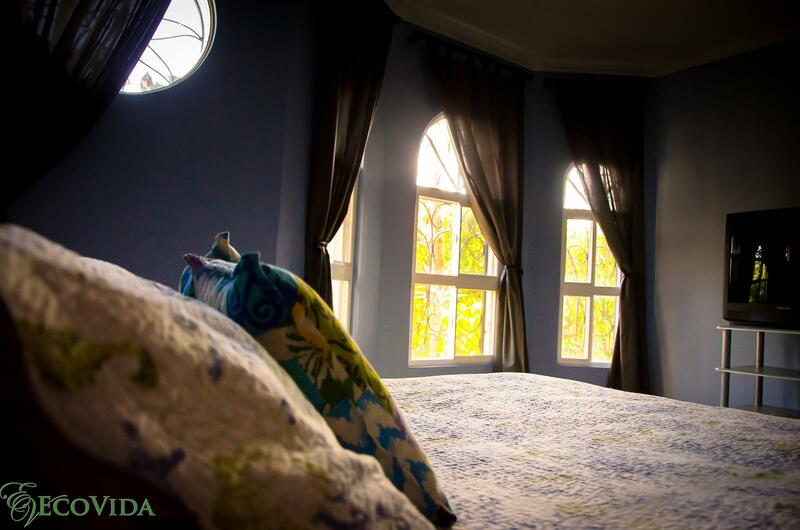 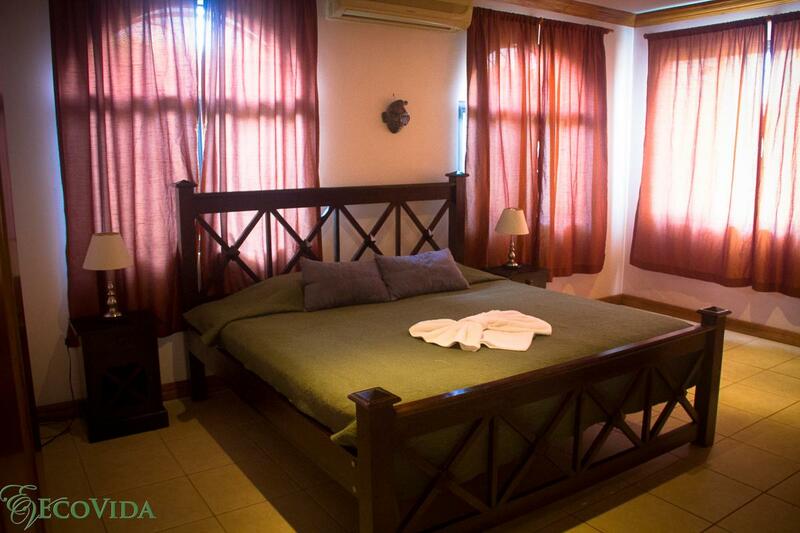 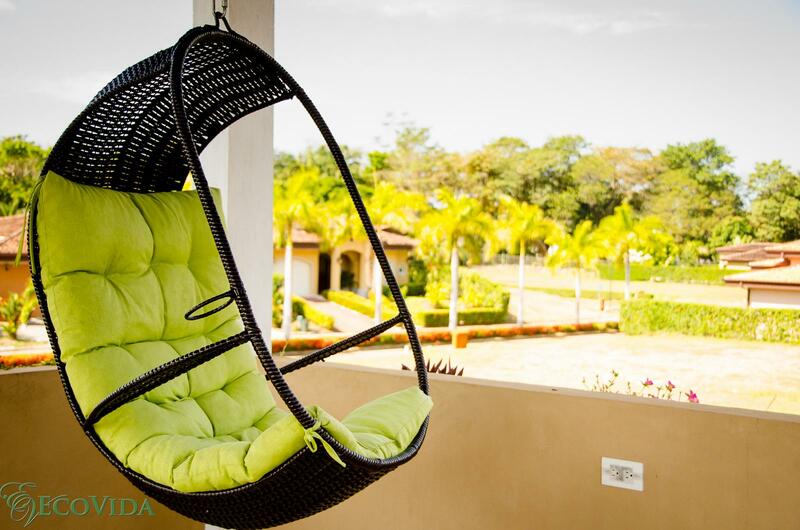 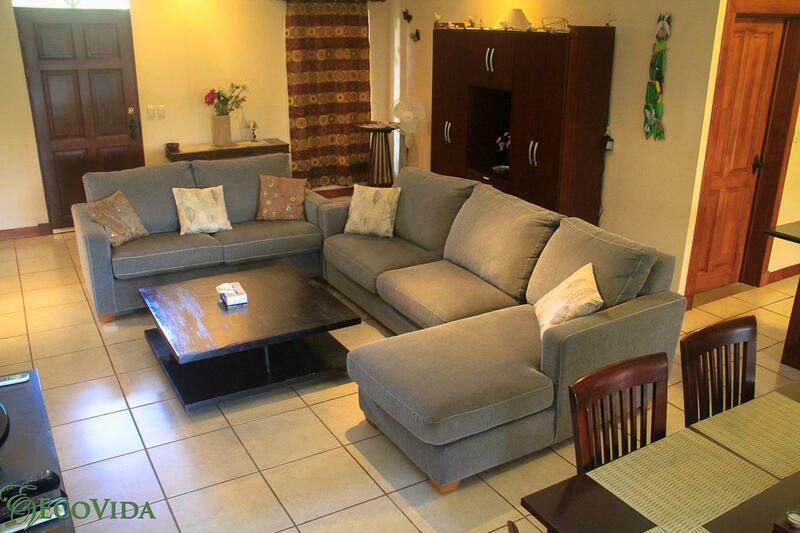 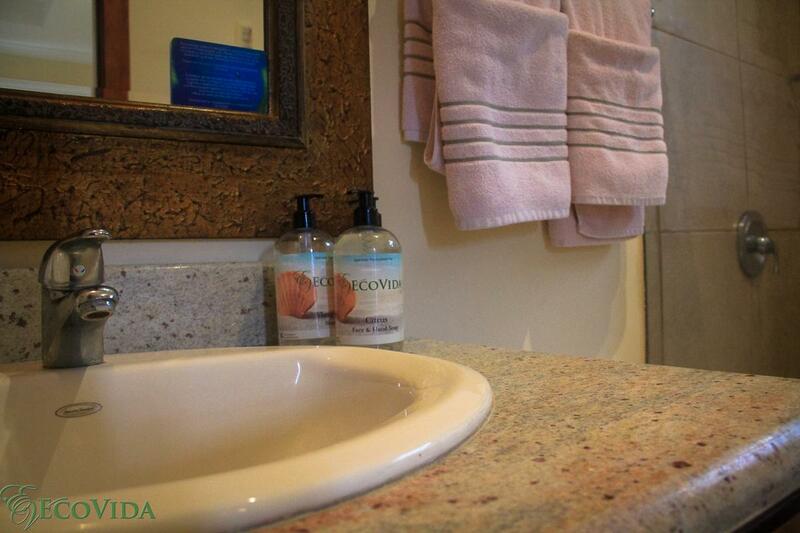 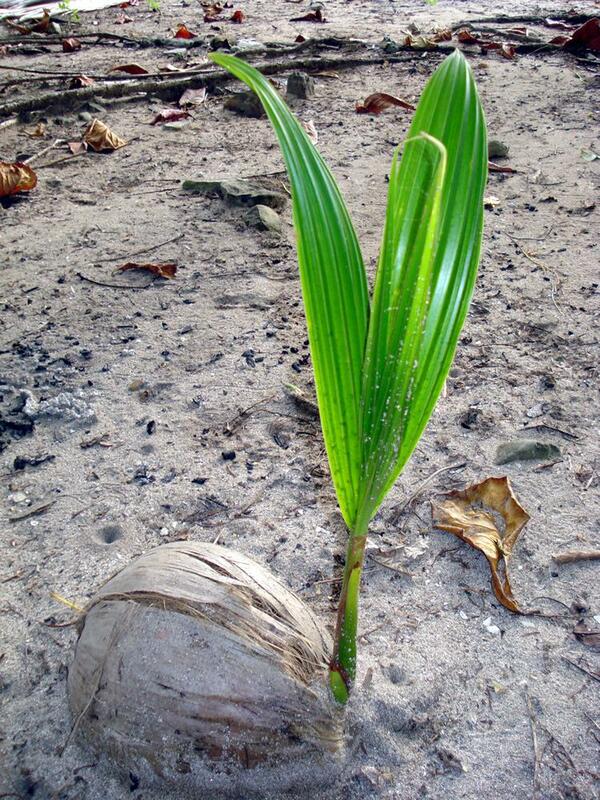 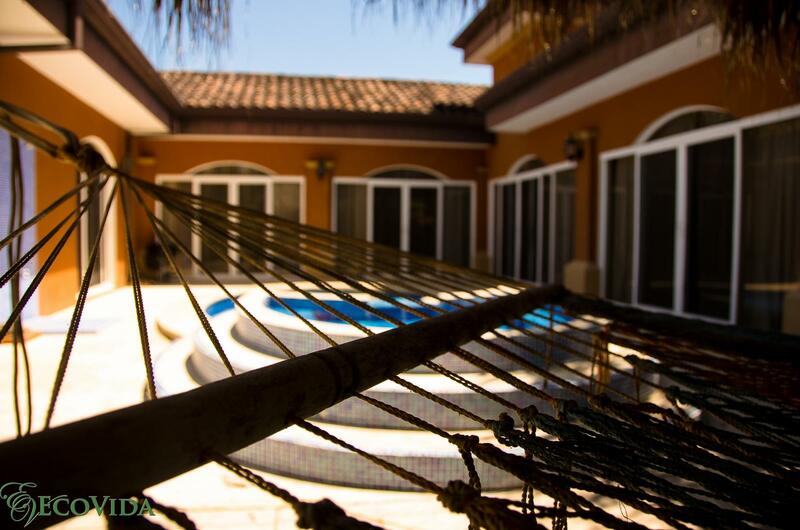 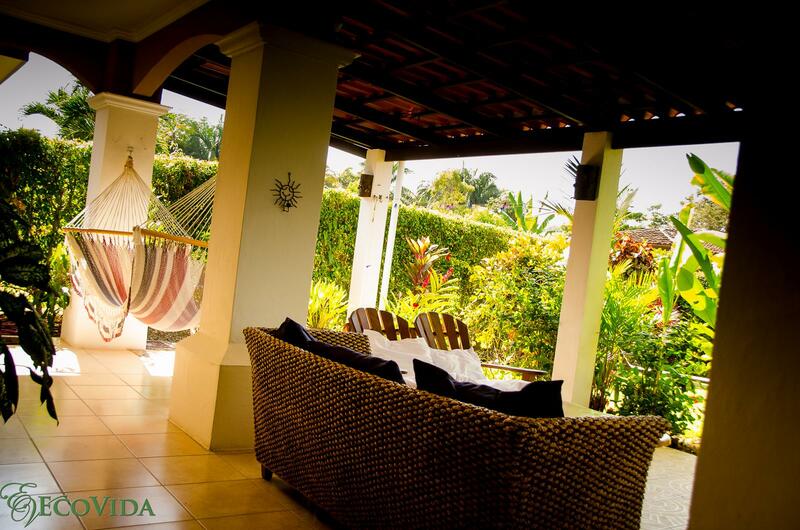 At EcoVida we pride ourselves on making you as comfortable and relaxed as possible. 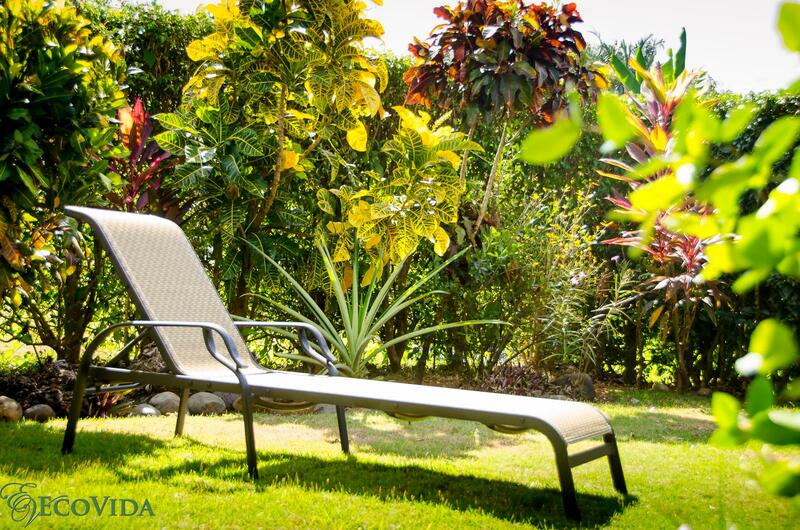 Curl up with a great book while lounging by the private pool or hammock, let the kids run around the backyard or head out to the beach to work on your tan or try some surfing lessons! 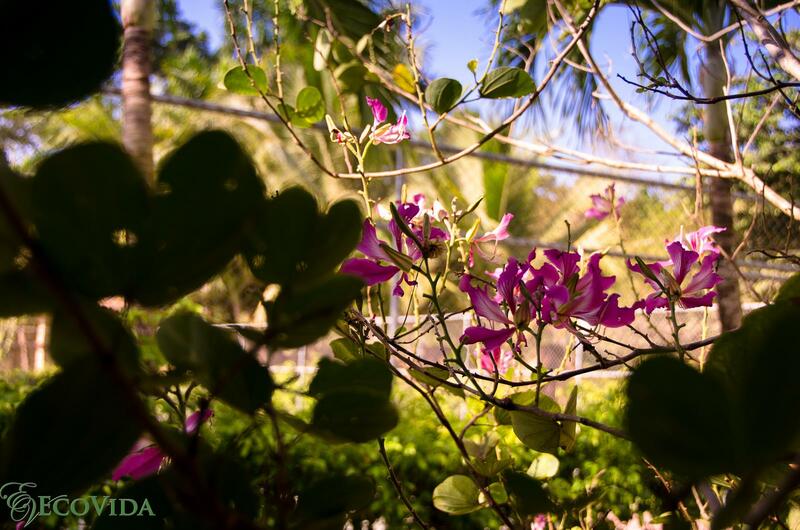 There are a ton of activities and sights to see in our area. 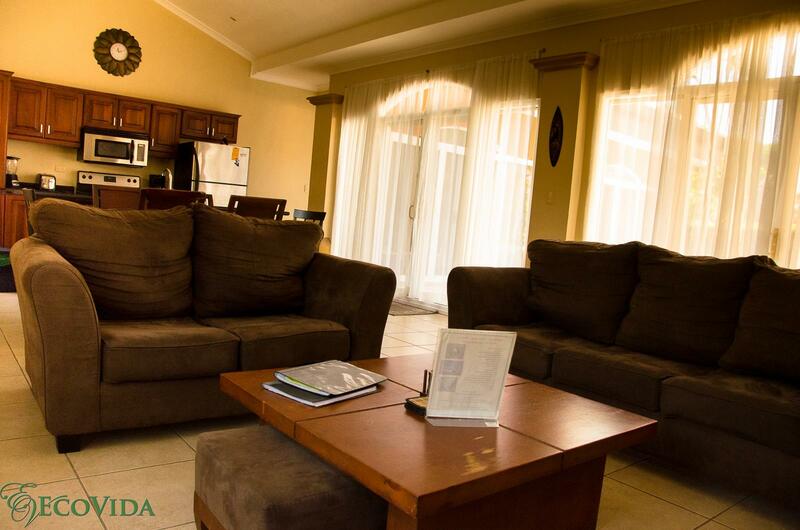 No matter what brings you here, you are guaranteed to enjoy your time and whatever your desire, our location is perfect. 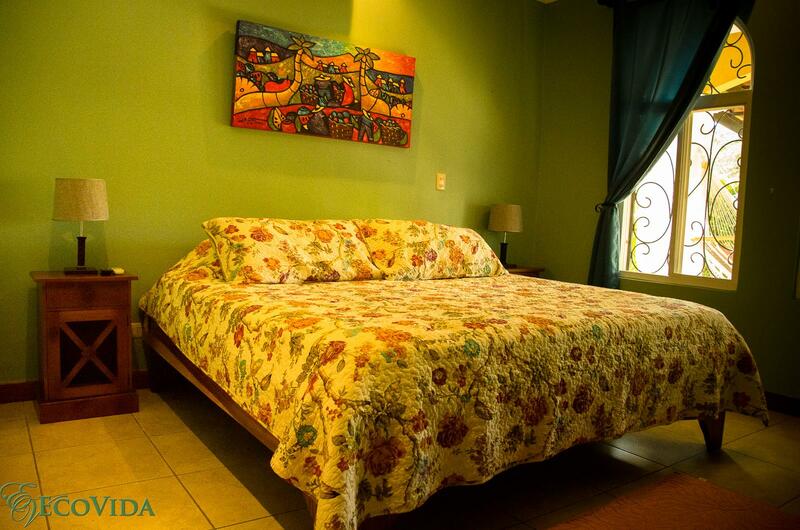 *Max Occupancy: 2 bedroom homes will sleep 4 people and 3 bedroom homes will sleep 6 people (adults and children). 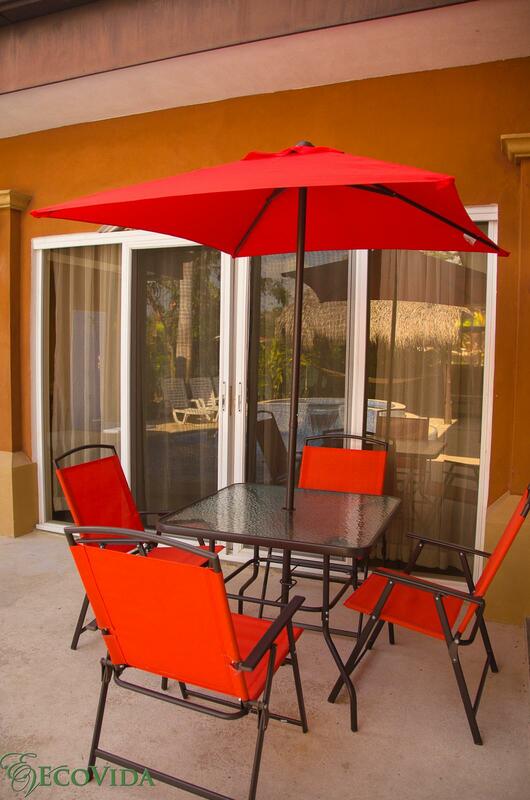 Some homes will allow additional people up to 8. 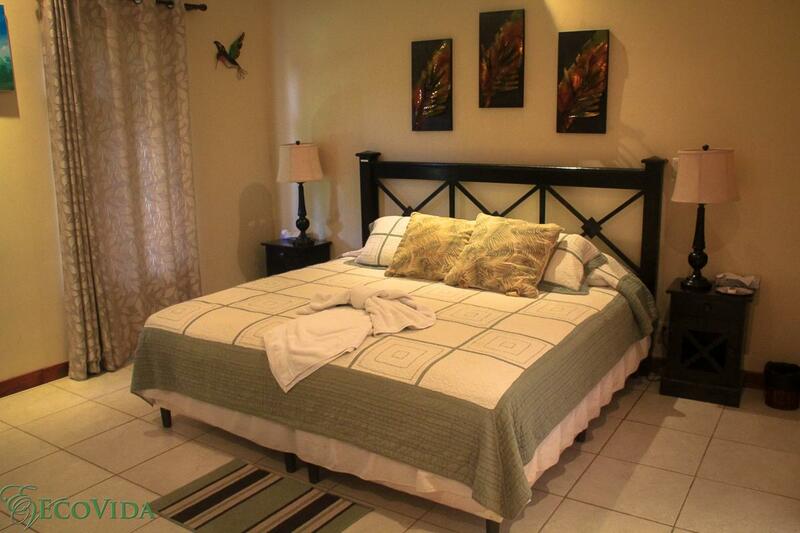 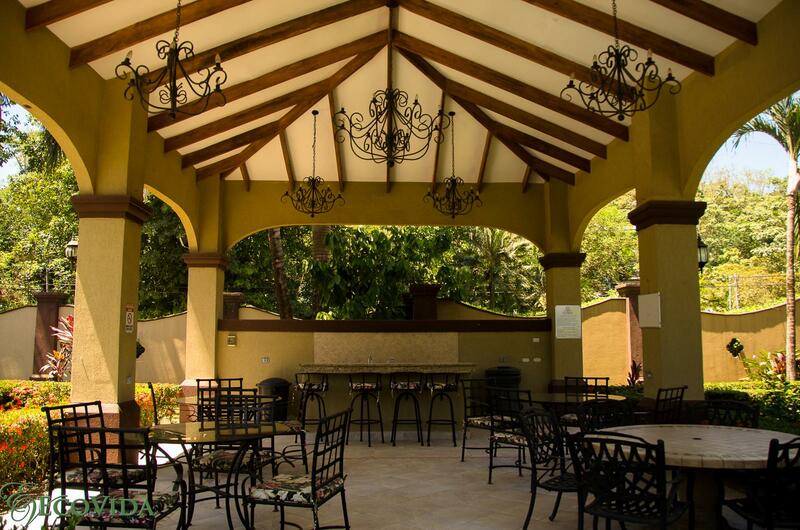 Please inquire about the possibility of additional guests or day guests which are charged at $20/day/person.